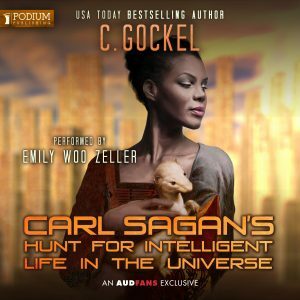 Carl Sagan’s Hunt for Intelligent Life is available for a free listen on AudFans. You have to sign up for an account, but it is free. 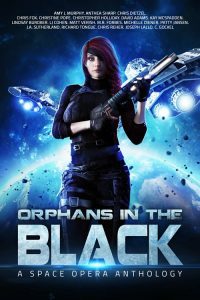 In the writing world there is, let us say, a difference of opinion on the merits of “genre fiction.” There are a lot of people for whom there is “literature”, which is deep and meaningful … and their is entertaining fluff, aka, genre fiction, which is not. The great thing about the Imp series, is that Sam, being an Imp, is funny. There are laugh out loud moments, because even when her neck is on the line, she can be distracted by things like a chicken wand … which, considering she is an Imp, makes perfect sense. Sam can be diabolical–much more so than my Loki–but she is fiercely loyal to her friends whether human, demon, or other. Oh, and bonus, the humans aren’t helpless. When they catch on to demonic danger, they fight back with guns. Lots and lots of guns. Each story in this set is complete, but you’ll still want to rip right through the collection, because the characters rapidly become like old friends. I started reading these and didn’t write for a whole week … so … yeah. Getting the first three in a box set is a really good deal and you’ll wind up saving a lot of money. Right now the first three books are on sale for 99-cents at time of posting at Amazon US, Amazon CA, Amazon UK, Nook, Kobo, iBooks. However, the first book is also FREE for now at Amazon US, Amazon CA, Amazon UK, Nook, Kobo, iBooks, and (almost) the whole series is available in audiobook. 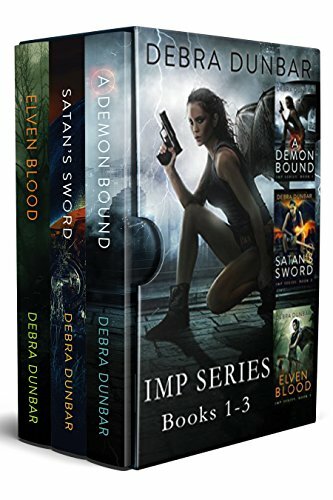 Love the Imp Series? Say so below … or tell me what you’re reading and loving right now. I’m always looking for my next book-addiction! Christine Pope and I have created a new box set! 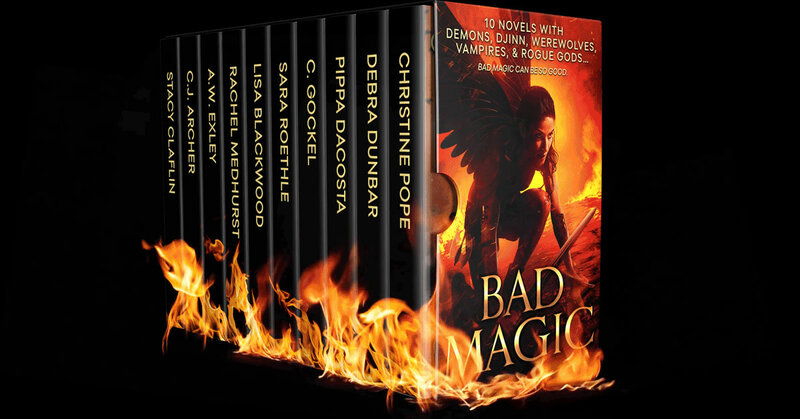 This set has Christine’s Chosen and my Wolves in it, but the rest of the titles are brand new and some have never been offered free before! These 10 full-length novels of paranormal romance and urban fantasy will keep you on the edge of your seat and up past the witching hour. Black magic, adventure, and romance … they’re all here. She’s not their long lost fairy princess, she’s their executioner. Legends of Norse Myth and Necromancy collide in this fast-paced Urban Fantasy with a dark romantic twist. 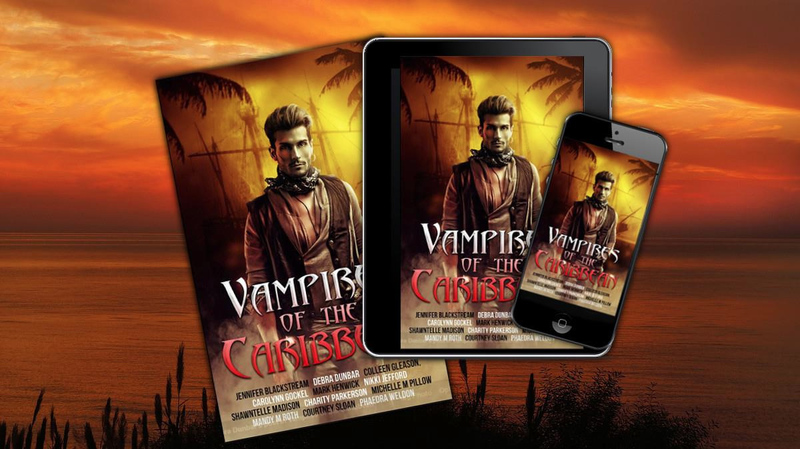 Introducing Vampires of The Caribbean, a short story anthology by bestselling authors like Debra Dunbar, Shawntelle Madison, Mandy Roth, and more! “In Florida.” Dare winces. It’s probably sunny there, and warm places usually have snakes … and spiders. “I’m a Night Elf,” Dare says flatly. “A vacation for me would be Moscow in December,” Dare mutters. Loki stares at him a moment, and then gives a crooked grin. “I suppose so.” He snorts, and then snaps his fingers. A spark jumps into the undergrowth and Dare stamps it out. Someday takes place before the events of Wolves. Besides Someday there are nine other stories by amazing authors.